Most Brazilian football supporters, which is about 180 million people, found the recent World Cup even more disappointing and depressing than the rest of us. Not so much because of the failure of their team, because that’s what a quarter final loss was to them, but by the unwillingness of their team to play the ‘jogo bonito’ (beautiful game) that they believe is their natural birthright. The blame for this double failure is generally placed by most Brazilians squarely on the shoulders of coach Dunga, but it might more fairly belong with the people who appointed Dunga in the first place. Although Dunga had no previous coaching experience he turned out actually to be a very good coach, no surprise to those who knew his game as a very thoughtful, if very hard player. But his personality, as hard as his play, was never going to lend itself to an approach that placed entertainment above success. With his reputation as a player based mainly on his hardness and defensive qualities it came as a surprise to many that as Xavi of Spain broke World Cup passing record after passing record in South Africa, it was Dunga’s records he was breaking. 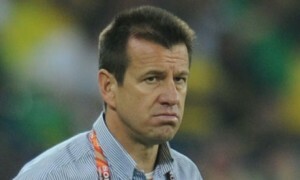 Dunga was a very influential player for Brazil, leading the play from the back. 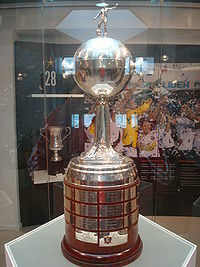 Dunga played in 3 World Cups, lifting the trophy as captain in 1994. 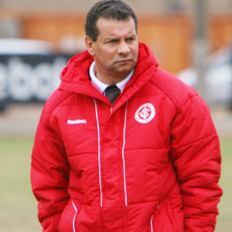 Dunga proved a successful coach with victories in the America Cup in 2007 and the Confederations Cup in 2009. For most of his time in charge Brazil were in the number one ranking produced by FIFA. Nor was he as negative and defensive a coach as his public image would suggest. He generally played with two forwards up front supported by at least one attacking midfielder, usually Kaka. He sometimes even flirted with two forwards and two attacking players, before he ran out of patience with Ronaldinho. 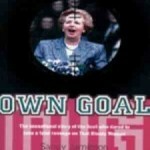 But generally there was a cautious element both to his selections and to the style of play of his team, with always two defensive midfielders carrying out the duties he used to perform. Most Brazilians had their worst pre World Cup fears confirmed by Dunga’s selection of players for the trip to South Africa. He stuck with the unloved Felipe Melo and veteran Gilberto Silva in midfield and left out the best defensive midfielder in Brazil, Hernanes, a far superior player. He left out Adriano up front, probably correctly given his renewed problems with drink. But more controversially he omitted young AC Milan star Pato and plumped for the more pedestrian Grafite. He omitted Ronaldinho no longer the World’s greatest player of 4 years ago but still capable of flair and magic. But worst of all he left out the two brightest new stars of Brazilian football midfielder Paulo Henrique Ganso and forward Neymar who had driven Santos to Sao Paulo State triumph alongside their loan signing Robinho who Dunga did include. A great campaign had been launched in Brazil to take a chance on these two. It was supported by Pele amongst others. The very volubility of the campaign probably doomed it, since Dunga with his perverse streak was not going to be seen to be dictated to by anyone, certainly not everyone. The second leg of the Sao Paulo State League Semi-final between Santos and Sao Paulo represented an eagerly awaited clash of cultures between the European features of organisation and discipline, and the Brazilian traditional virtues of attacking football. In one corner was Sao Paulo, the most ‘European’ and by no coincidence the most successful of Brazilian clubs with 6 Brazilian titles, 3 Copa Libertadores crowns and 3 World Club championships to their name. Under coach Ricardo Gomes, well experienced as both player and Manager in Europe, Sao Paulo play a pragmatic modern European style game. All their Brazilian internationalists, Rogerio Ceni, Cicinho, Alex Silva, Miranda and Hernanes are defenders or defensive midfielders. It is a classic belief of certain schools of philosophy that the flutter of a butterfly’s wing in one part of the world can lead to devastation in another. Last week provided graphic proof of this phenomenon with a minor ripple in South Africa causing major disaster in Rio de Janeiro, 13,000 miles away.